Swimmers partnered up. For the first part of the set, they push their partner (who is in a streamlined position) with one hand. 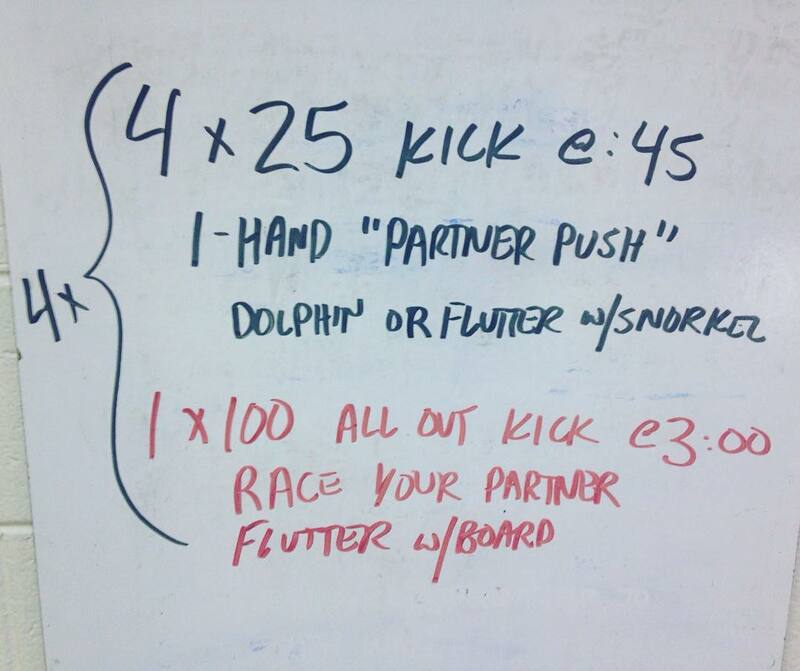 Then they race their partner in an all out 100 flutter kick. The 100 was handicapped based on a “best average” kick set earlier in the week, meaning that one partner got a head start over the other.